This exhibition features fourteen European prints and drawings from the 19th and early 20th centuries. Informed by 19th century global travel and scientific exploration, French and English artists produced meticulous botanical renderings. Twentieth-century artists captured the domesticity of objects in still lifes both realistic and abstract. Marc Chagall, French, born Russia, 1887–1985. 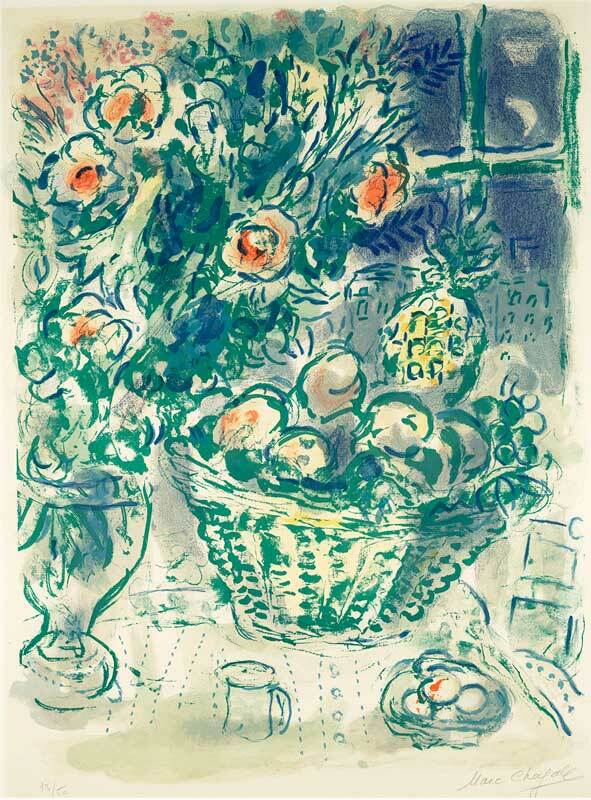 Basket of Fruit and Pineapples, 1964. Color lithograph. Gift of Mrs. Leonard Charles Kline, F85-21/1.